Every Christmas, my husband and I throw a BBQ for our friends. We figure by December, everyone is craving hotdogs and hamburgers! This year, we thought to do something fun for the summer – like a soup crock pot party. Ok, maybe not that – but you know what I mean! A theme that you usually wouldn’t expect during the warmer months. If you plan on having a ton of people over, consider changing a few items on your shopping list and go green! Honestly, you can make a big difference by slightly altering your spending habits. And you don’t have to spend a ton of money doing so! 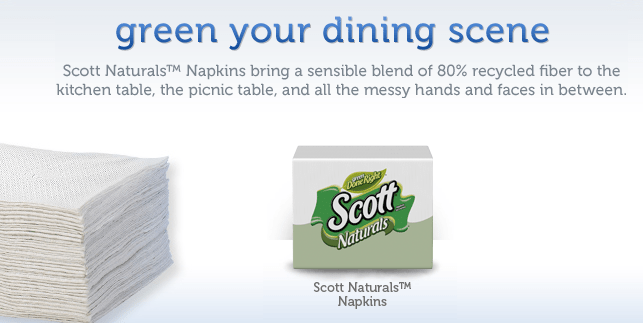 SCOTT Naturals’ napkins are made with a blend of virgin material and at least 20% recycled material in products or packaging. They are Green Good Housekeeping Seal** holders and frequently offer coupons. SCORE AND SCORE. This Earth Month, SCOTT Naturals invites consumers to take a small step by pledging to take the 4-week test drive of its hybrid products. 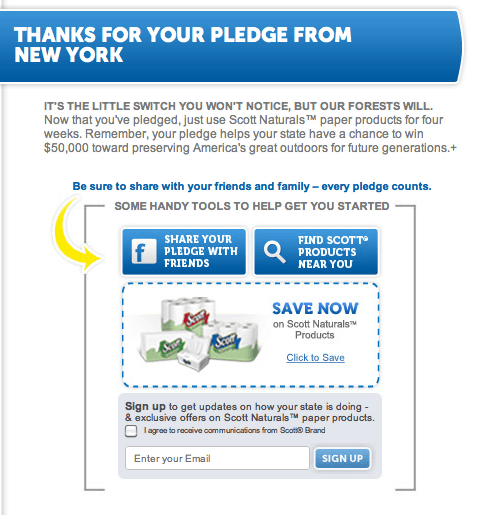 Simply go to scottbrand.com and pledge to switch to SCOTT Naturals for four weeks. The state with the greatest participation rate will receive $50,000 donation to be applied to local conservation efforts, just another easy way one small step can lead to a big change. If everyone tried SCOTT Naturals™ for just four weeks, we’d save over 2 million trees.